Please fill out the following form in order to request a web design quote. The cost of building a website depends on the scope of work. Every website project is different. IDP creates a formal web design quote for every project which details hours and scope of work. In order to get started please fill out this web design request form. 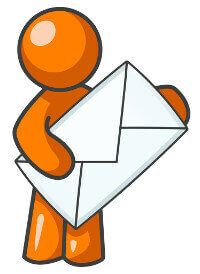 A follow up email or phone call will be required in order to write a formal proposal for you. What would be the best way to follow up with you? Why Get A Web Design Quote from Internet Design & Publishing? Thank you for considering IDP. We would love to work for you and build an awesome website for your organization. IDP has the experience and expertise required in order to build a successful website that impacts your business. Take a look at our web design portfolio. Putting the Web to WORK for Your Business since 2003. IDP has built hundreds of websites. Get a Web Design Quote Today! Internet Design and Publishing, Inc. is located in downtown Lee's Summit, Missouri. Lee's Summit is in the Kansas City metropolitan area. We provide web design, web development, reliable web hosting and email hosting, web application programming and search engine marketing. IDP provides excellent customer service. We do whatever it takes to keep our customers happy and make their web sites successful. Your website is important to us! It is critical that your web site is programmed correctly. Your site must be search engine friendly, mobile friendly, it must load quickly, contain relevant copy and be easy to navigate. Contact us today and we will help you plan, design, develop, build, implement and manage your website project.